clearance of customs where vehicles must be certified free of dirt and bugs. Vehicles leaving foreign countries normally will be inspected leaving that area and again upon arrival at their destination. In addition to safety and operational checks, vehicles inspected for embarkation require an emphasis on oil, fuel, and water seepage. An occasional drip may not adversely affect the normal operation of the vehicle, but it could become hazardous while being transported. You should make sure the spare tire and all collateral equipage are loaded with the vehicle, especially under tactical conditions. In the shop area, it is easy to accomplish the configuration of the vehicle for loading, to put down the roll over protective structure (ROPS), and to remove the counterweights, and so forth. Itemizing these and related tasks on the Equipment Repair Order will ensure that the work will be completed, and in addition, provide a record of work required at the destination. Different units you may be attached to, usually NMCBs, will have a certain amount of their equipment in a storage program. This program is used to reduce maintenance hours by removing selected CESE from service for extended periods of time. The criteria for storage programs is listed in the COMCBLANTINST 11200.9 (series) for live storage and COMCBPACINST 11200.22 (series) for inactive storage. The maintenance supervisor should be certain that equipment shop inspectors are thoroughly familiar with these instructions. Samples of live storage cycle logs and live storage service sheets are shown in figures 9-5 and 9-6. In the NCF (battalion), according to both instructions listed in the preceding paragraph, cranes will not be placed in active or inactive storage. Cranes will be under the control of the crane crew and will be cycled at a minimum of once every 5 days to make sure that all moving parts are mechanically sound and fully operational. 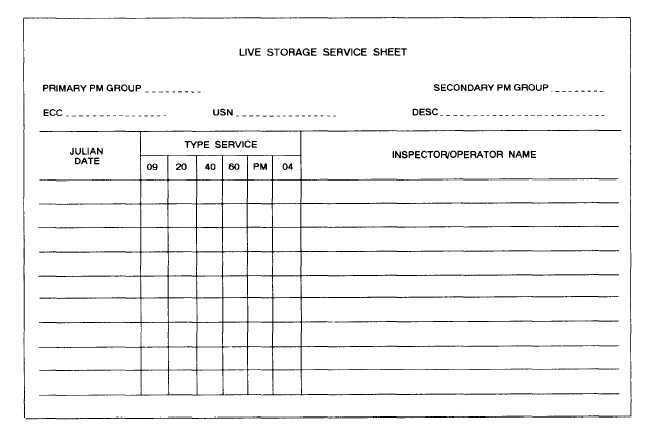 Figure 9-6.-Example of live storage service sheet.